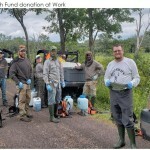 $50,000 will be invested in Walworth and Dunn counties thanks to a successful public-private partnership between WDNR and the Natural Resources Foundation of Wisconsin. 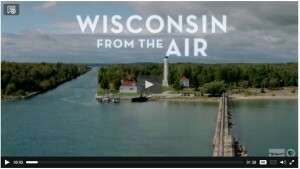 The Cherish Wisconsin Outdoors Fund is a proud sponsor of Wisconsin Public Television’s Wisconsin from the Air program, which takes its viewers on “a breathtaking journey high above the landscape.” For a full schedule of the dates the program airs, visit Wisconsin Public Television’s website. The Cherish Wisconsin Outdoors Fund. Think of the places that mean Wisconsin to you. The lake where your grandfather taught you to fish. The forests you hiked with your family. The wetlands where you and your daughter saw nesting birds. The fields or woods where you harvested your first deer or turkey. How much do these places mean to you? How much do these memories matter? And how much do you want them to thrive for the next generation, and the one after that? The Cherish Wisconsin Outdoors Fund was created so that we can start now to ensure the future enjoyment of our state’s remarkable natural wonders. The emphasis is on “we” because this Fund is an endowment fortified by investments from citizens like you. When you invest and give to the Fund, you help make sure the 1.5 million acres of publicly owned forests, barrens, grasslands, wetlands, brush land, rivers, streams and lakes in Wisconsin will be cared for today and for generations to come. Conserving and managing our public lands is not an expense, but an investment that pays dividends — economic and social. State lands are acquired and managed for the benefit of all citizens, regardless of recreational pursuits or where they live. In 2011, resident and non–resident hunters contributed $2.5 billion to Wisconsin’s economy. Tourism in Wisconsin is a $16 billion dollar industry; forestry is a $22 billion industry — all are tied to having access and the opportunity to enjoy our public lands. From improving forest health to restoring wetlands and fighting invasive species, this Fund was created to last lifetimes because our precious lands, waters and wildlife must last lifetimes. 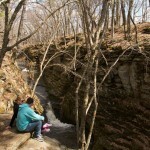 Please consider supporting the Cherish Wisconsin Outdoors Fund so that you can enjoy Wisconsin forever. To learn more or to donate, call the Natural Resources Foundation at (866)264–4096; email info@cherishwisconsin.org; or mail your donation to Cherish Wisconsin Outdoors Fund P.O. Box 2317 Madison, WI 53701–2317. Your donation is tax deductible to the extent allowable by law. 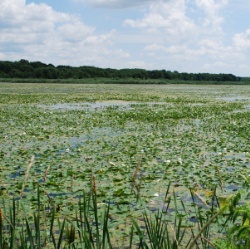 The purpose of the Cherish Wisconsin Outdoors Fund is to protect, restore and improve habitat for Wisconsin’s plants and animals. Eligible areas include, but are not limited to, State Wildlife Areas, State Fishery Areas, State Parks and State Natural Areas. 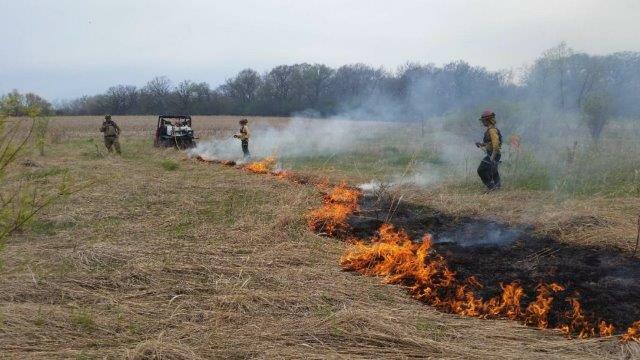 Every $1 million in the Cherish Wisconsin Outdoors Fund endowment will distribute approximately $50,000 per year for habitat management. 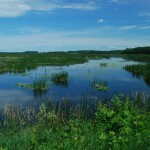 The Cherish Wisconsin Outdoors Fund will be held and managed by the Natural Resources Foundation of Wisconsin. The Natural Resources Foundation is an independent 501 (c)(3) organization established in 1986, which currently manages more than 60 endowment funds with a value of over $3 million. 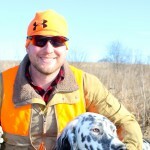 The Cherish Wisconsin Outdoors Fund was created through unanimous and bipartisan legislation signed into law by Governor Scott Walker in March 2012. The law enables the Department of Natural Resources to request over–the–counter voluntary contributions from the four million citizens who currently purchase annual “services,” such as licenses. The Foundation, in partnership with the Department, will promote the Fund to all citizens, as well as corporations, conservation partners and other donors.